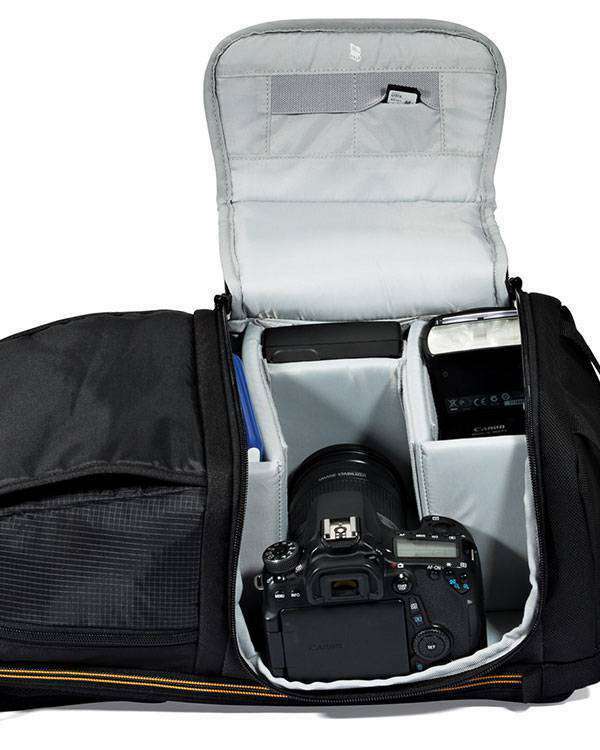 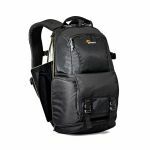 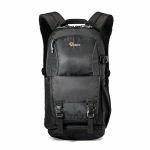 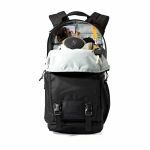 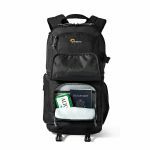 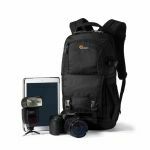 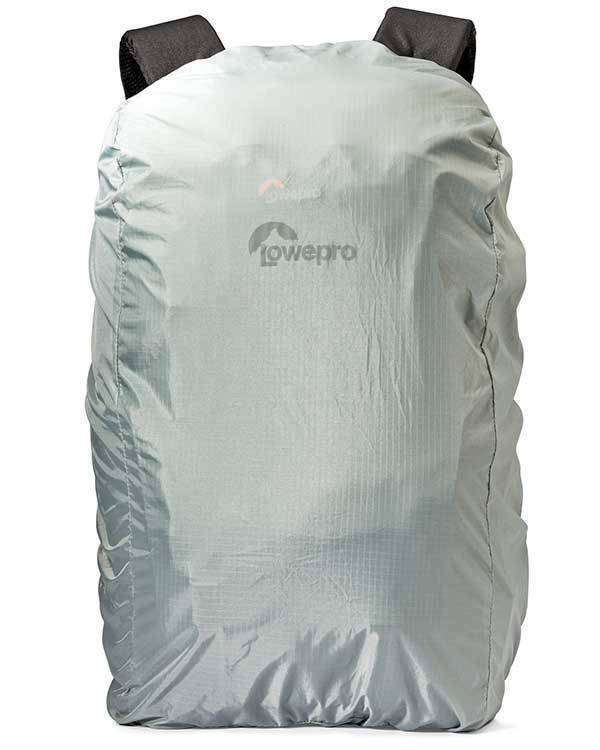 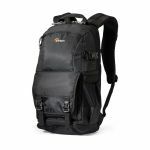 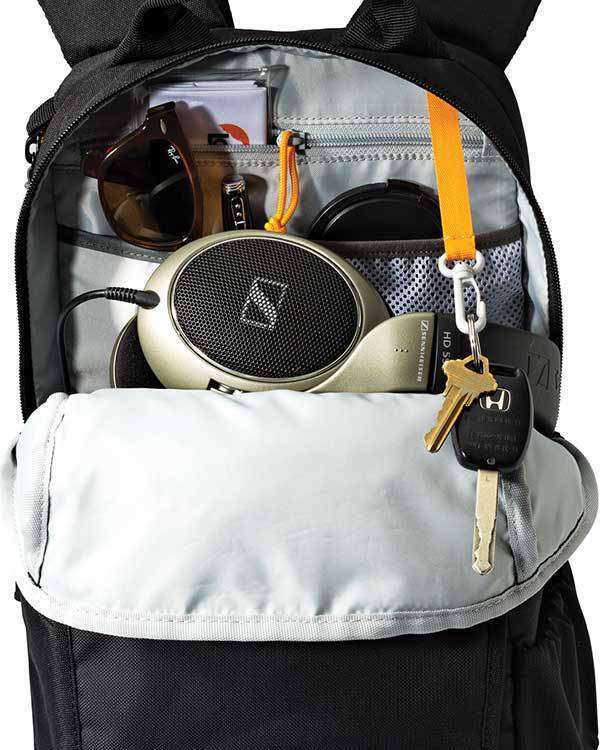 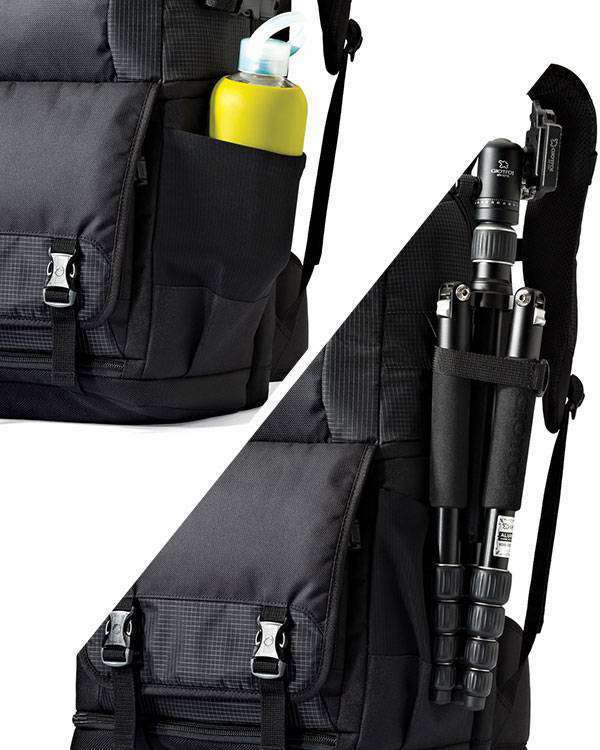 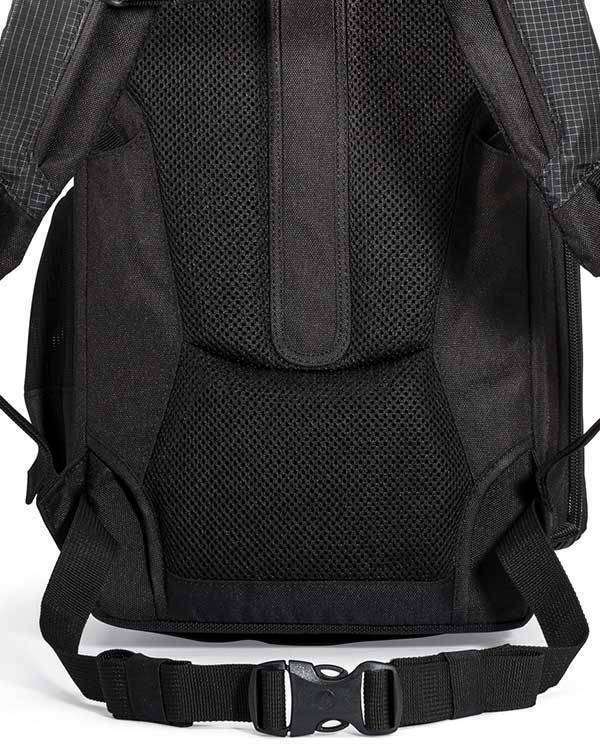 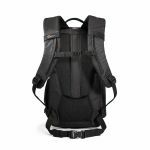 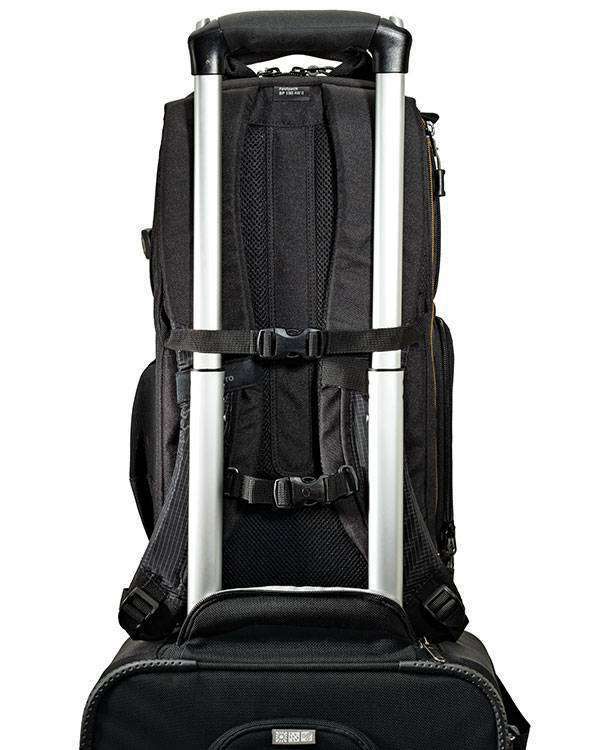 Travel-ready backpack designed to fit a DSLR, 1-2 extra lenses, 11 inch laptop, tablet and space for your personal gear. 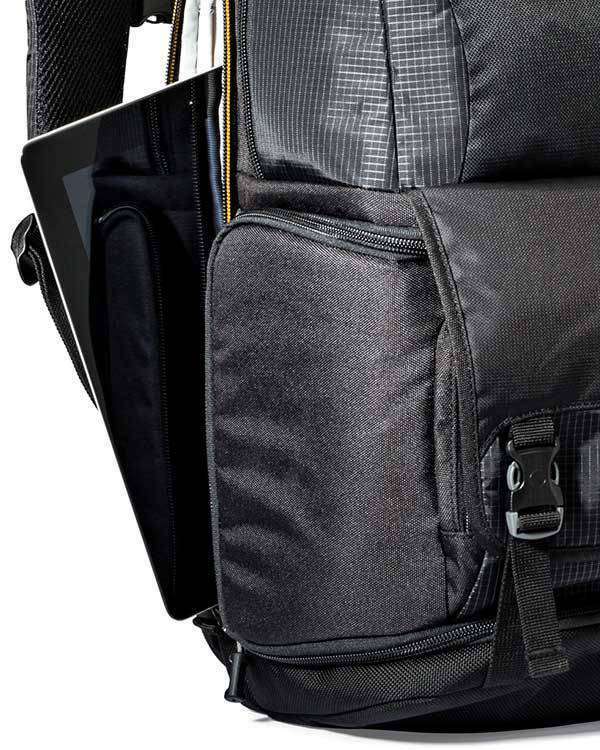 The device zone provides dedicated storage for an 11-inch MacBook Air laptop in a padded compartment, plus a tablet in a suspended, CradleFit pocket. 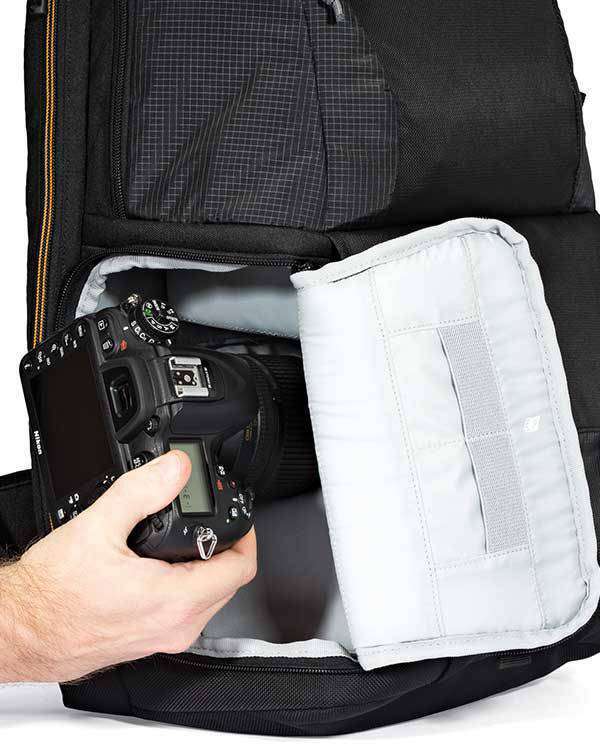 For extra security and stability when on the move, use the waist strap; tuck it away when not need or to neaten up profile for travel.